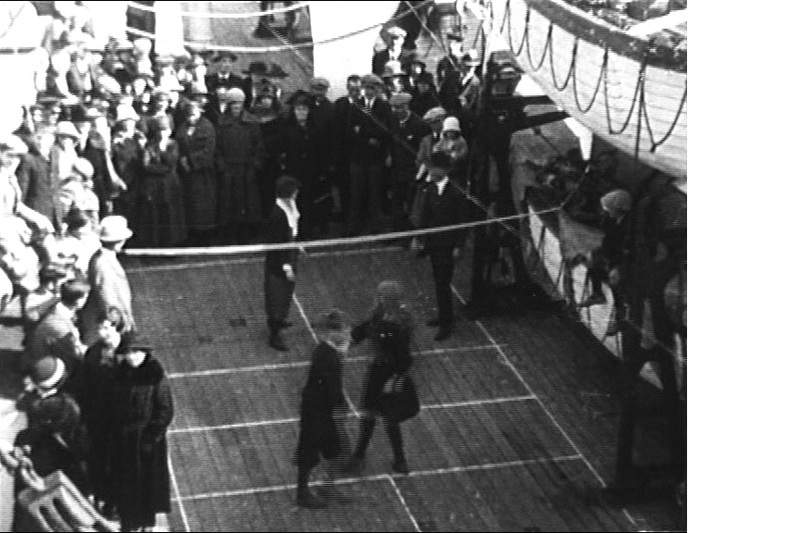 In 100 years, nine million people set sail from Liverpool for new lives, making it probably the greatest emigration port in world history and the Emigration Gallery at the Merseyside Maritime Museum is dedicated to the history of this event. 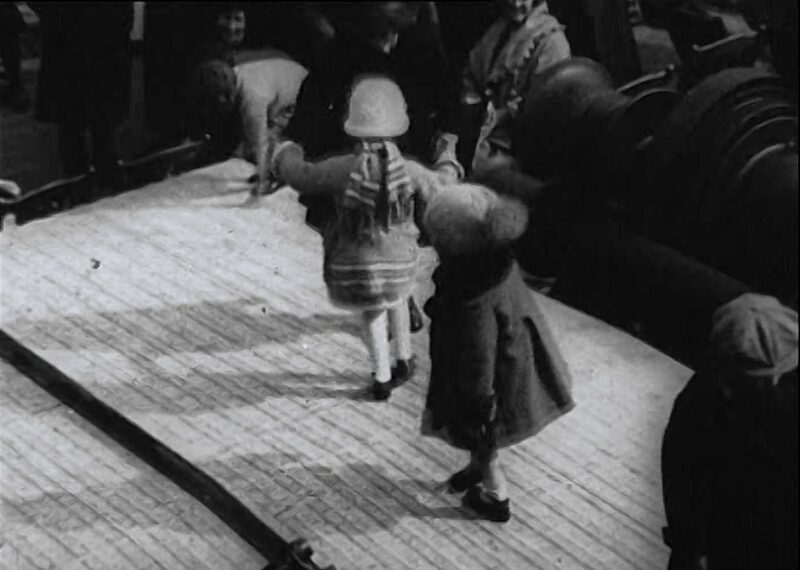 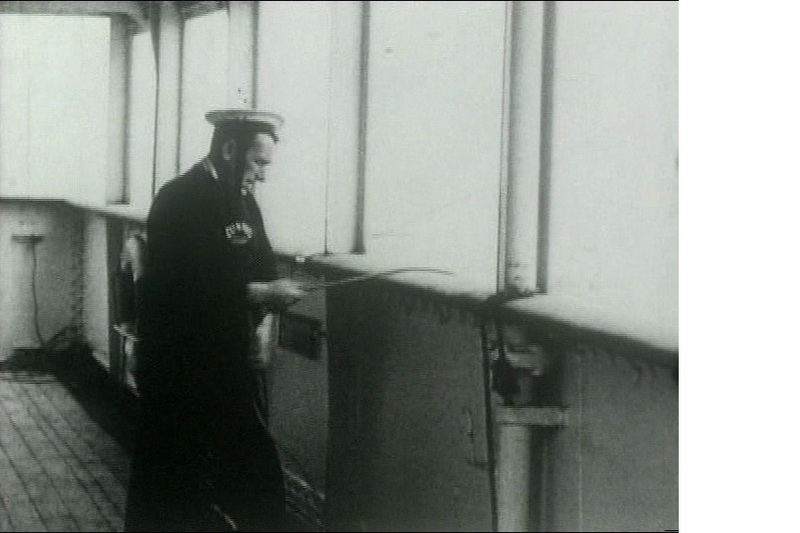 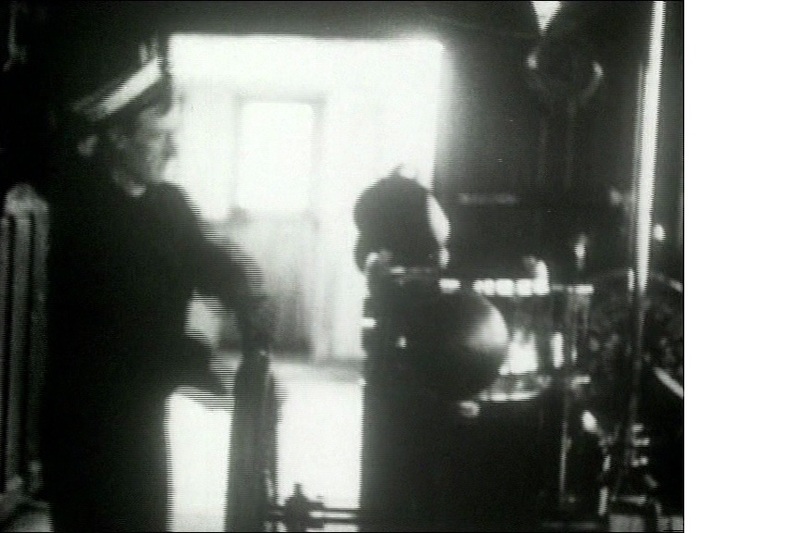 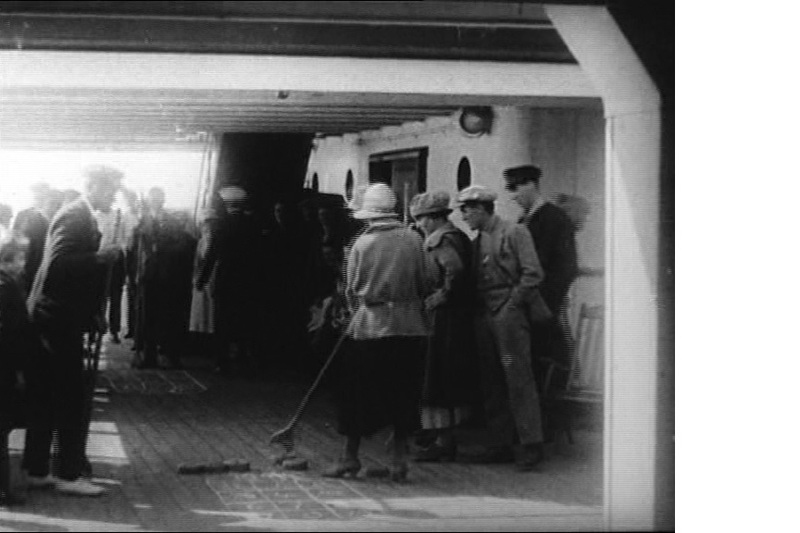 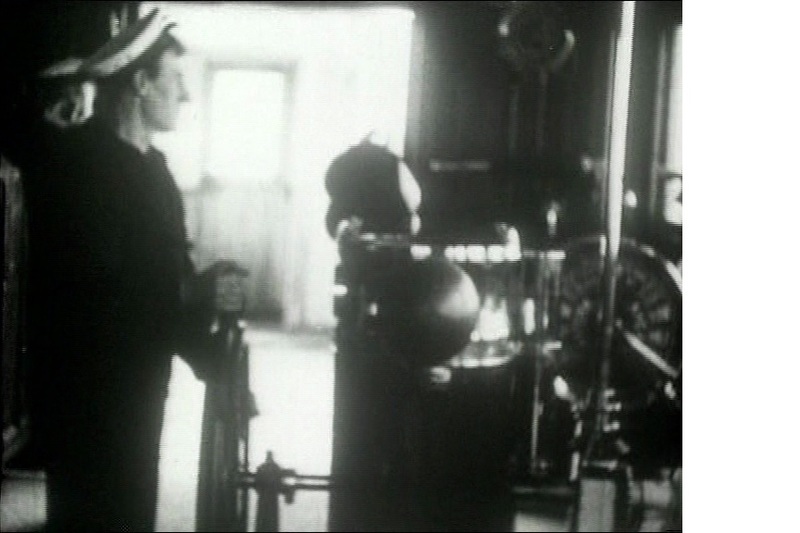 To set the scene for visitors to the gallery, a Cunard promotional film from 1923 is run continuously in the background. 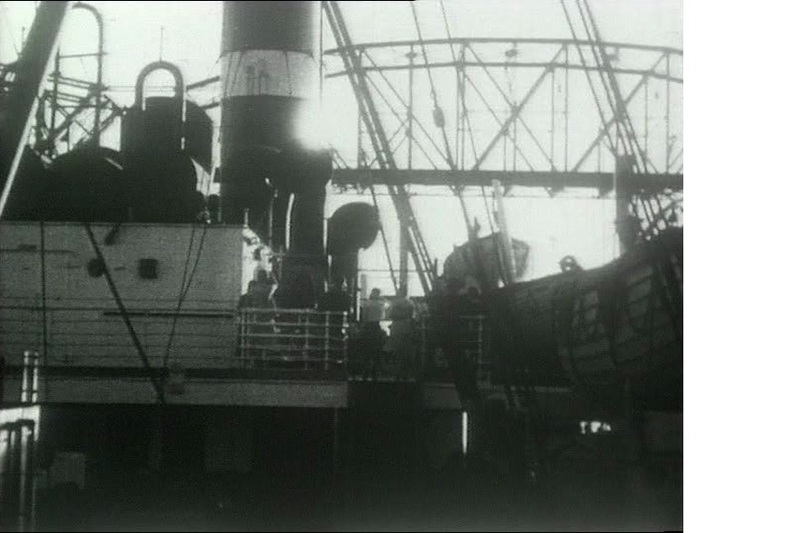 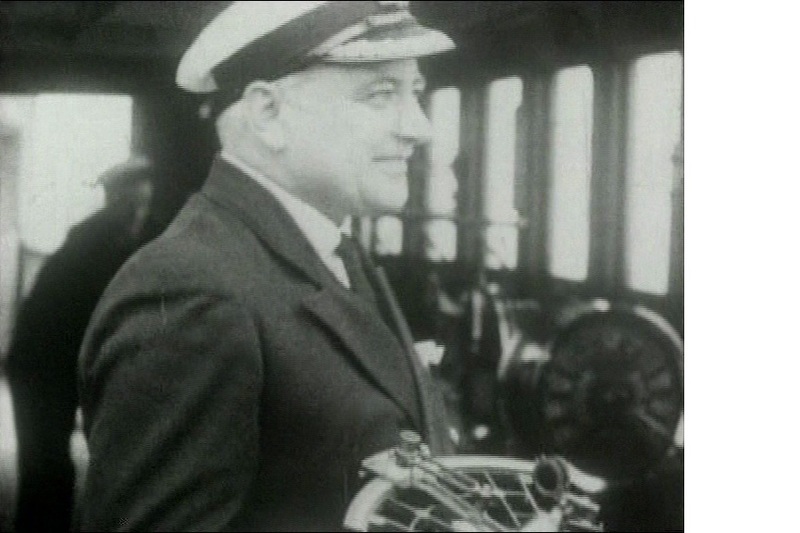 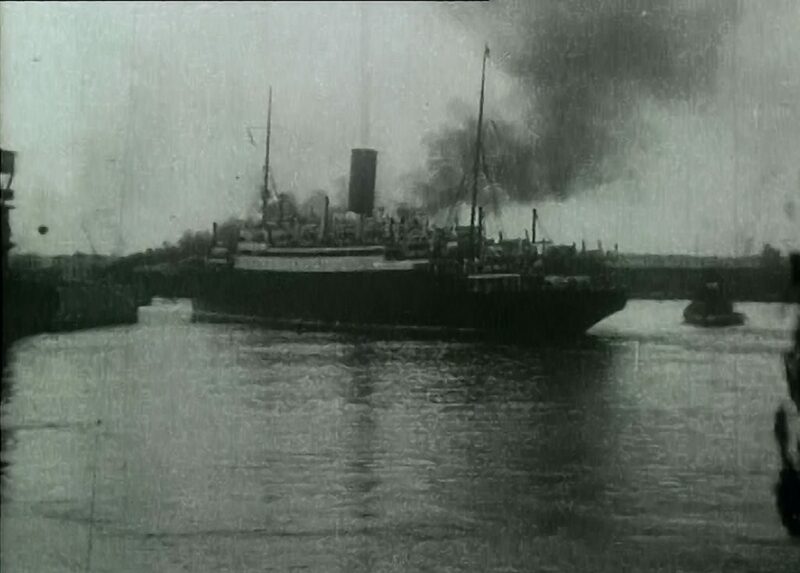 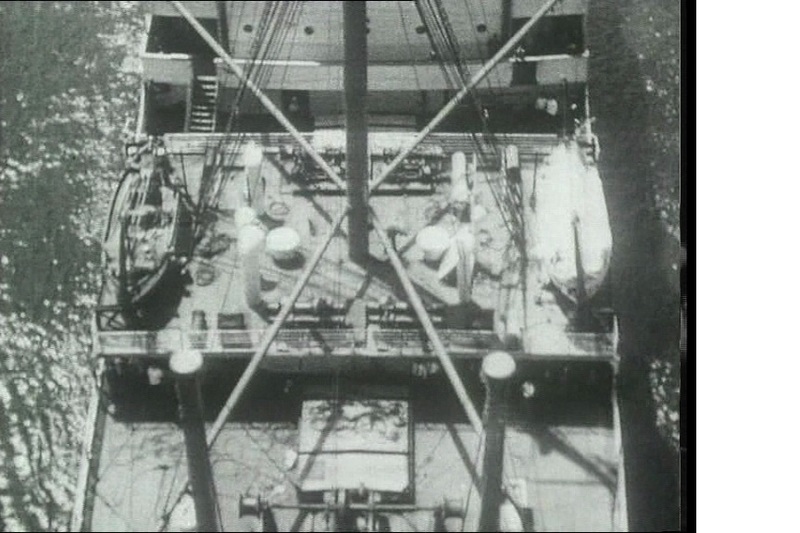 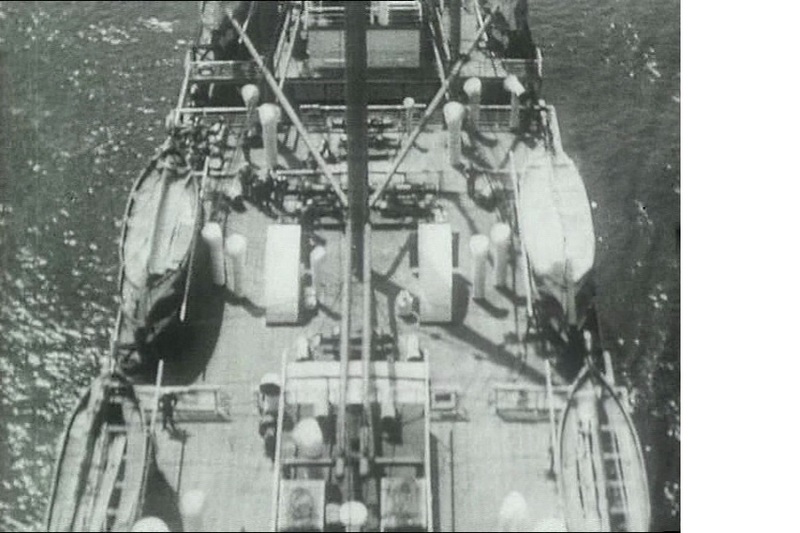 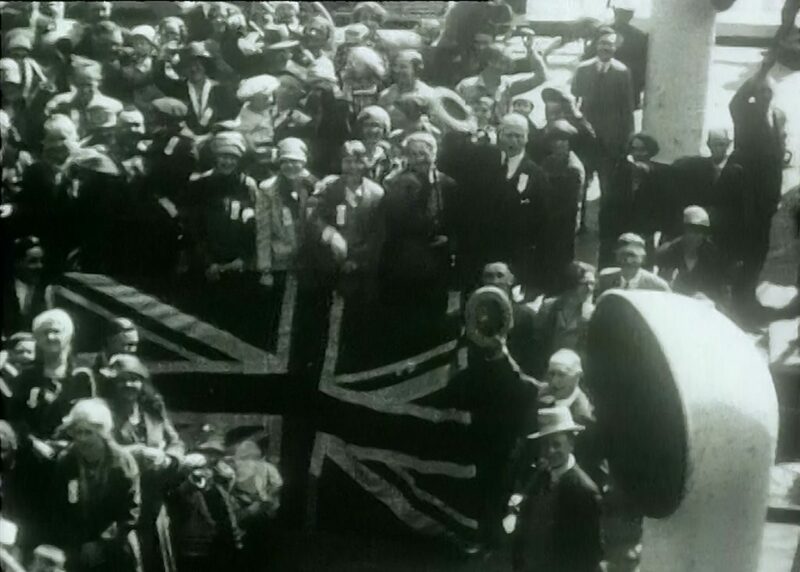 The film, titled “Travel the Cunard Line, Canadian Route” would have been shown at the ever increasing numbers of cinemas as well as trade fairs and promotional events in the early 1920’s. 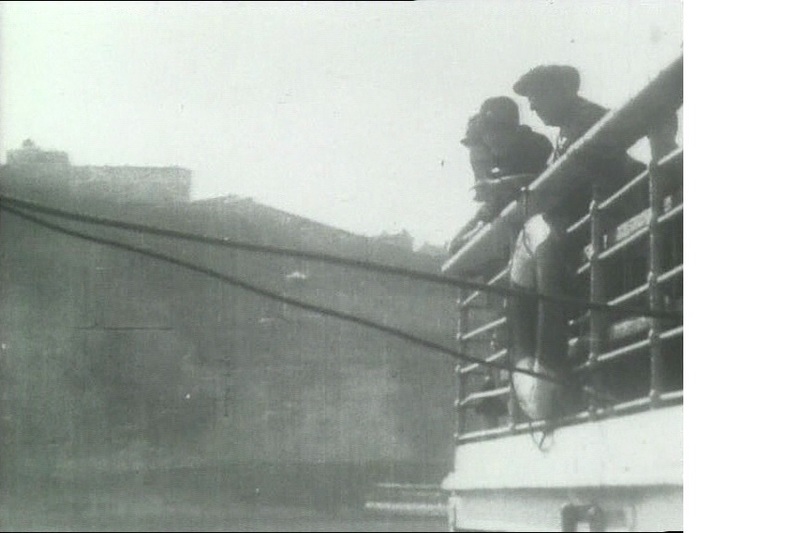 After a bit of research I managed of obtain a copy of this 30 minute film from the North West Film Archive at Manchester Metropolitan University and although the original film is nitrate damaged and disintegrates completely in many places, it is as far as I know, the only surviving film of the Cunard ‘A’ Class liners with scenes filmed on board the Ausonia, Andania and the Antonia. 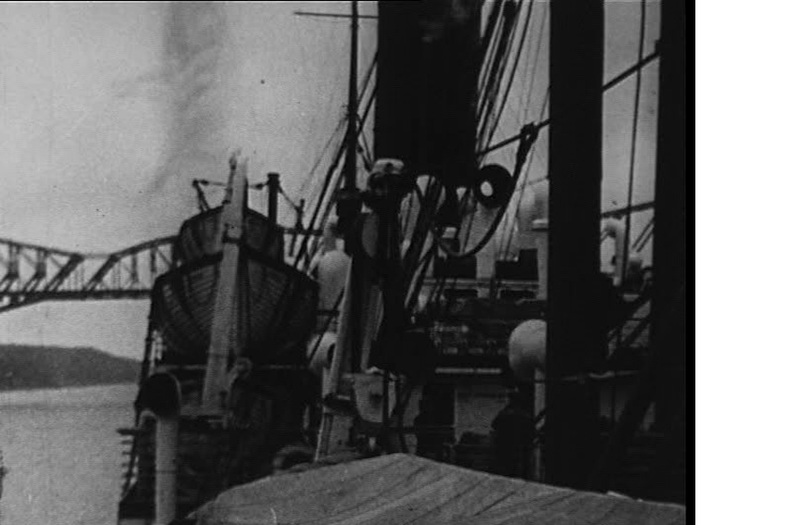 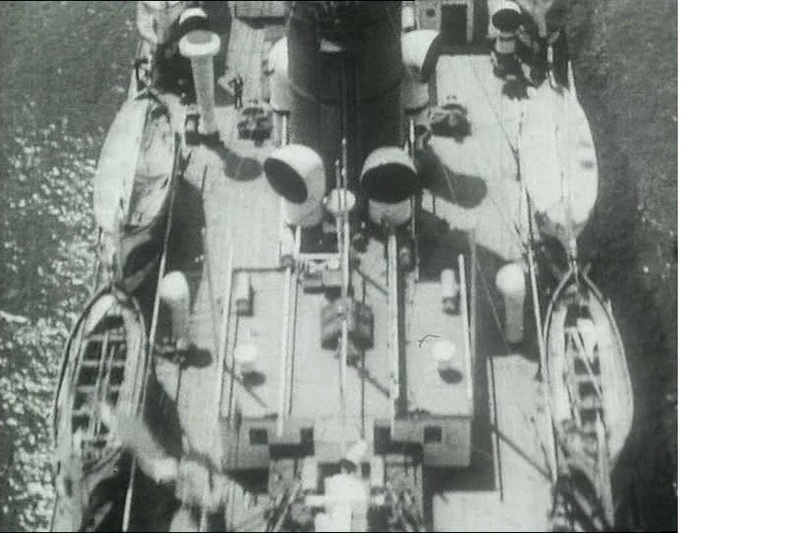 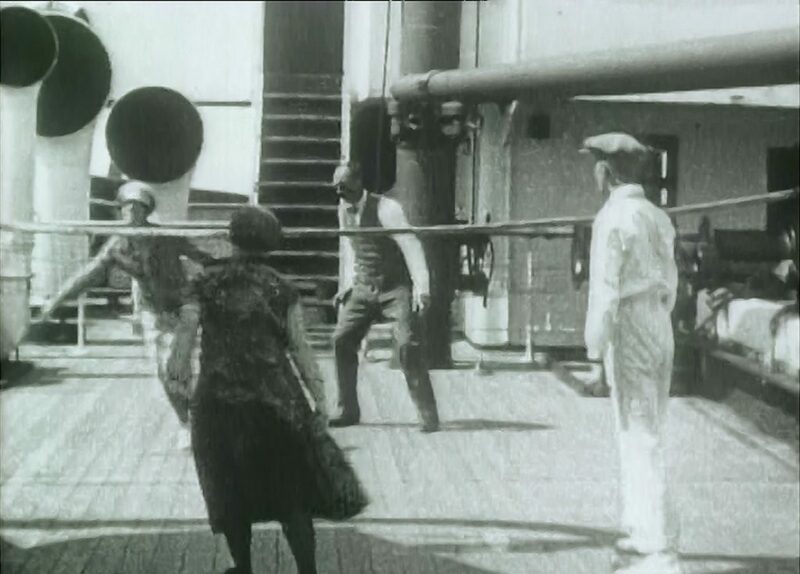 When the film was made in 1923, the Cunard ‘A’ Class liners had just entered service and the film was produced to ensure that these ships were fully booked when they sailed. 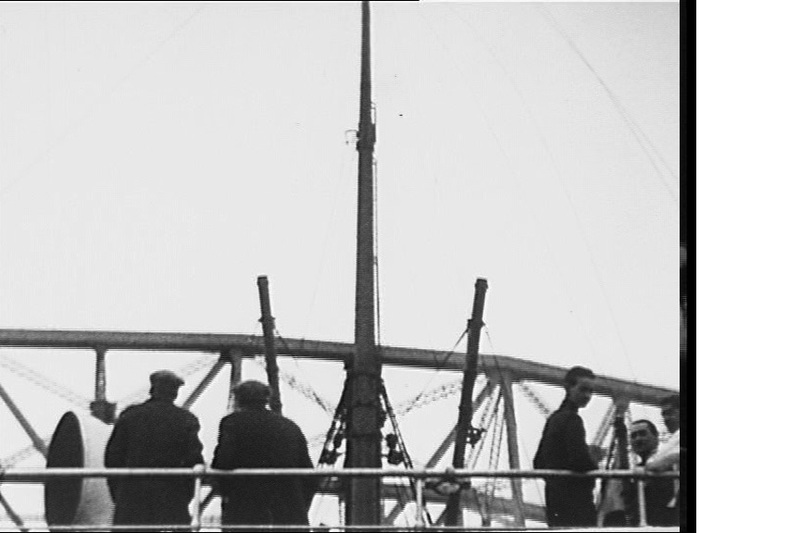 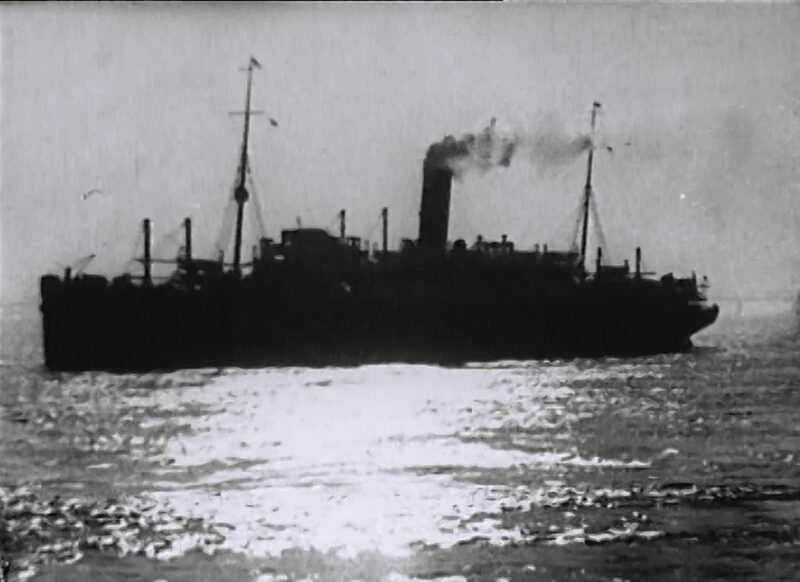 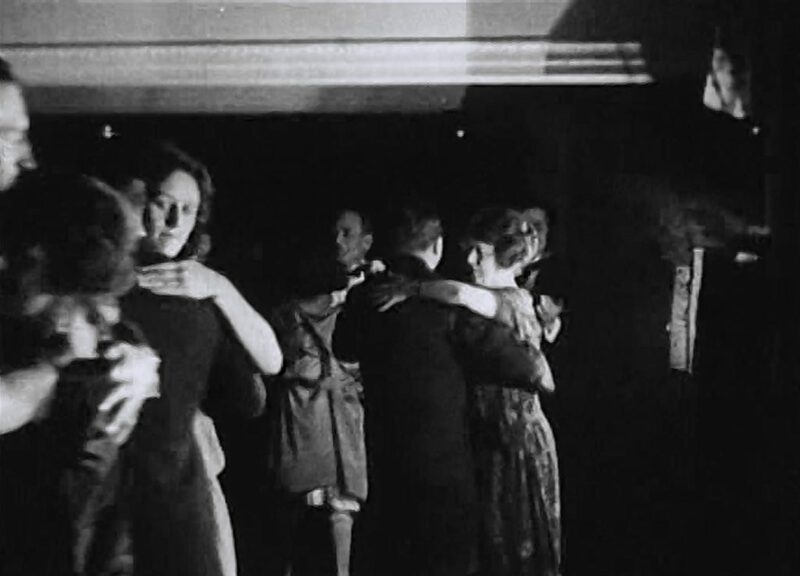 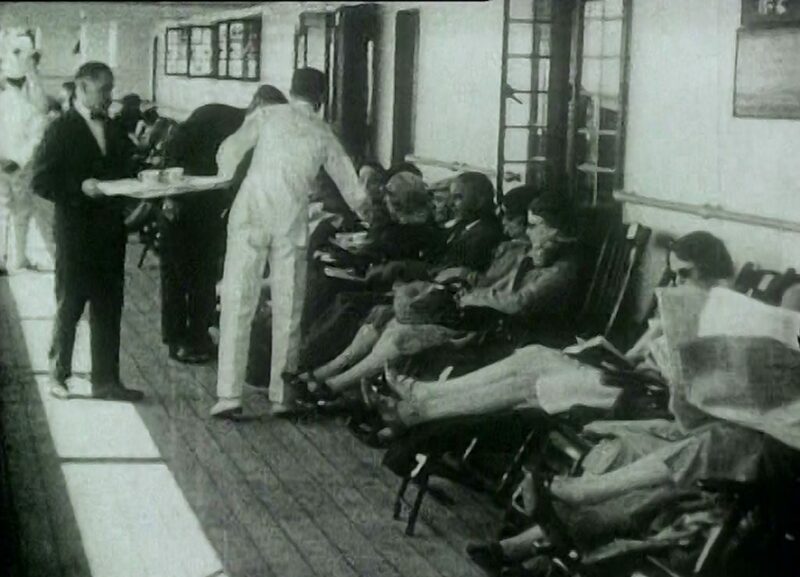 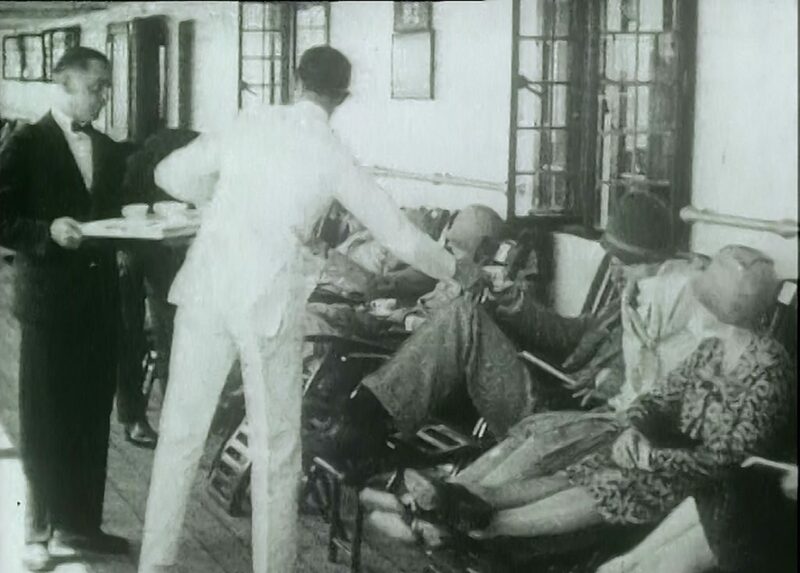 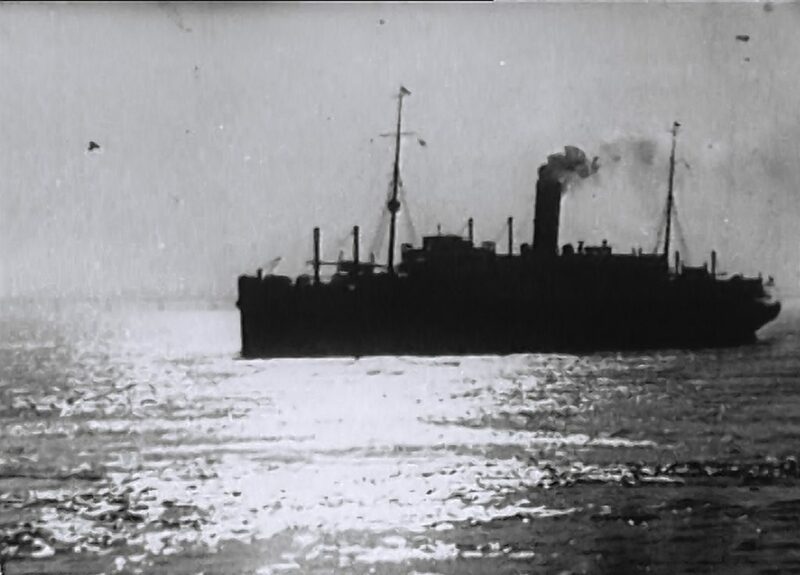 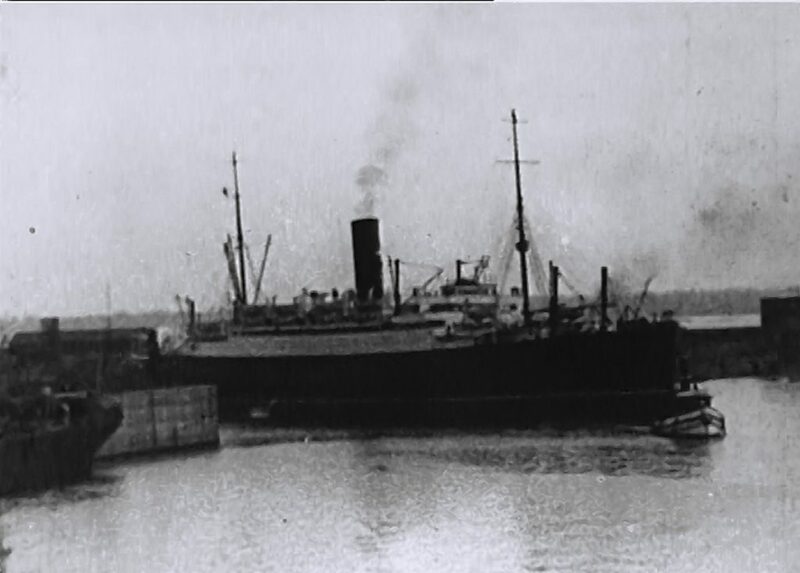 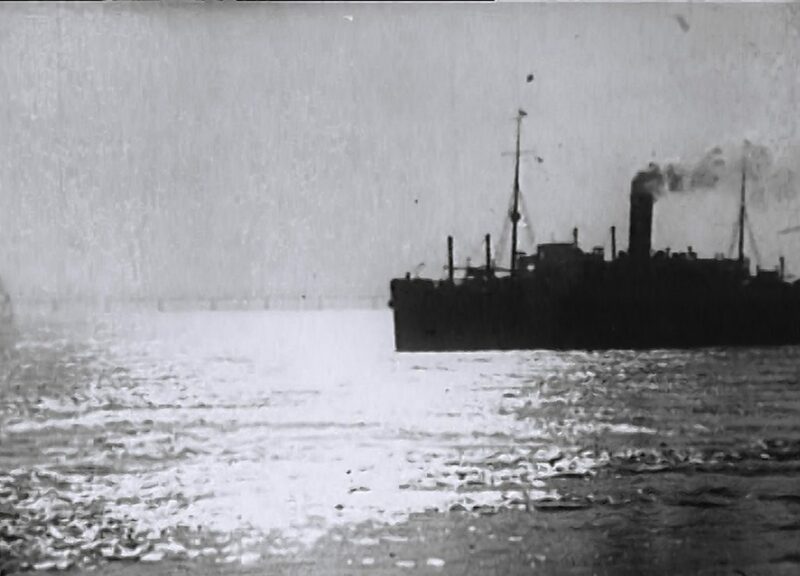 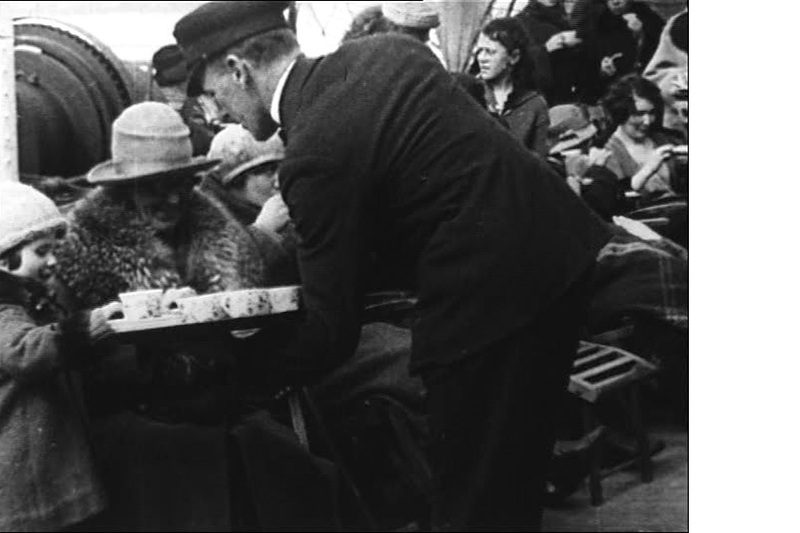 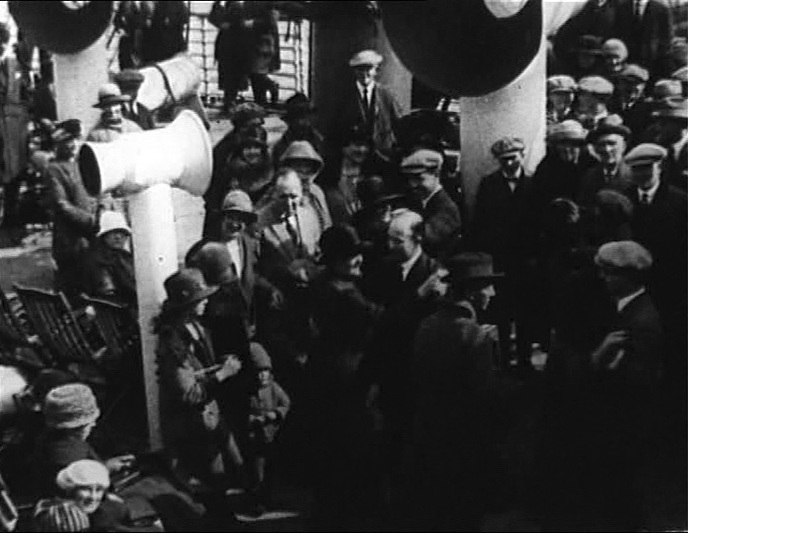 Aimed at working class people who were considering a new life in Canada, the film states that passengers can choose between Cabin, Tourist Third Cabin or Third Class and has special emphasis on the accommodation and service of the Third Class passengers, who would have made up the bulk of the emigrants. 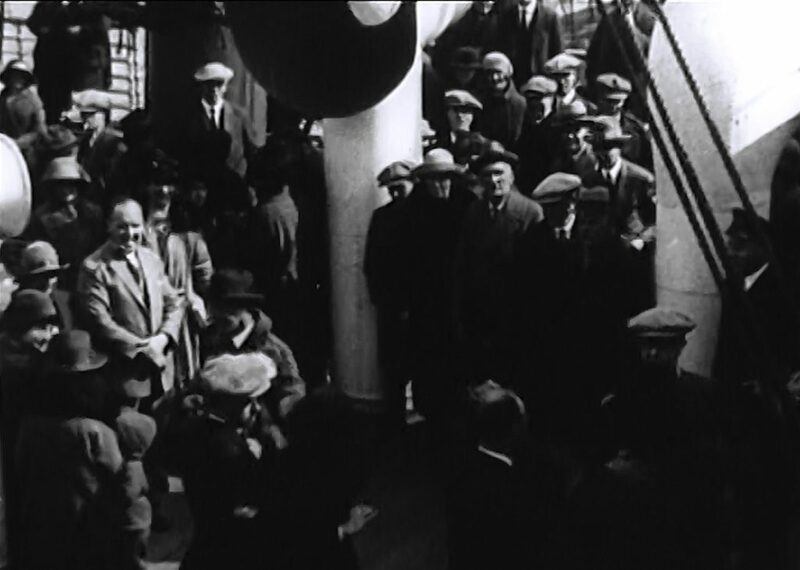 The film takes the audience through the whole trip, from boarding one of the special Cunard trains laid on to take passengers to and from the ships, to what could be expected during the crossing of the Atlantic, entering harbour and some of the onward journey in Canada. 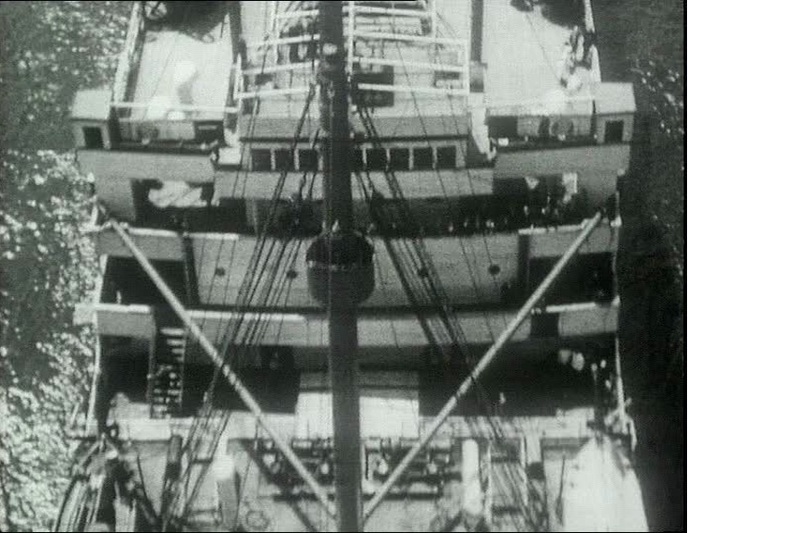 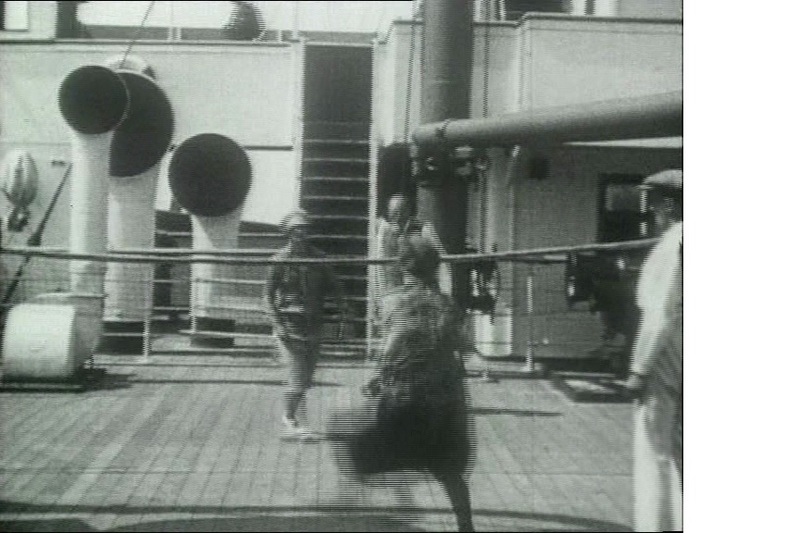 Although interesting, it is the scenes filmed on board these ships, which I have found particularly valuable, as photographs of the internal details are very rare if not non-existent. 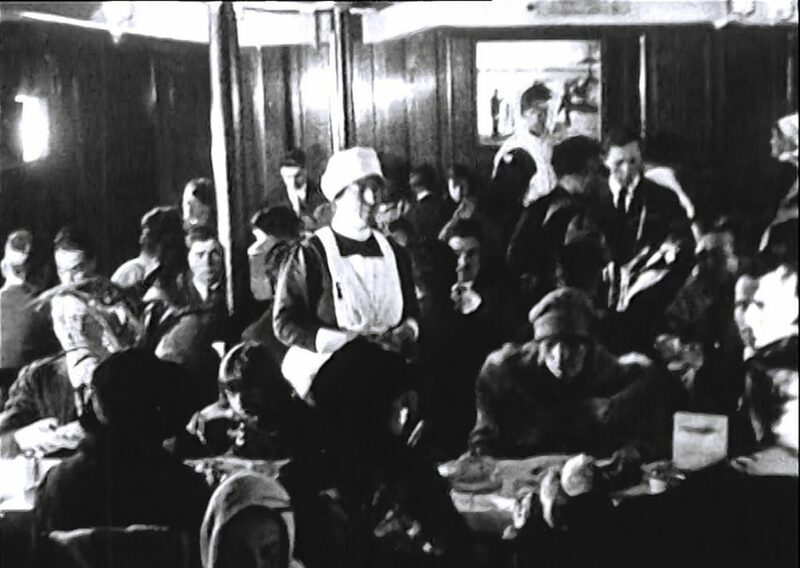 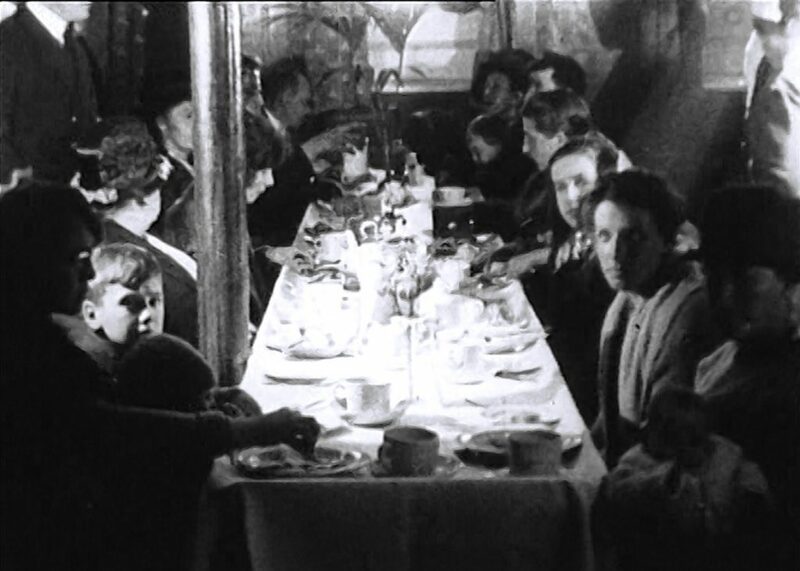 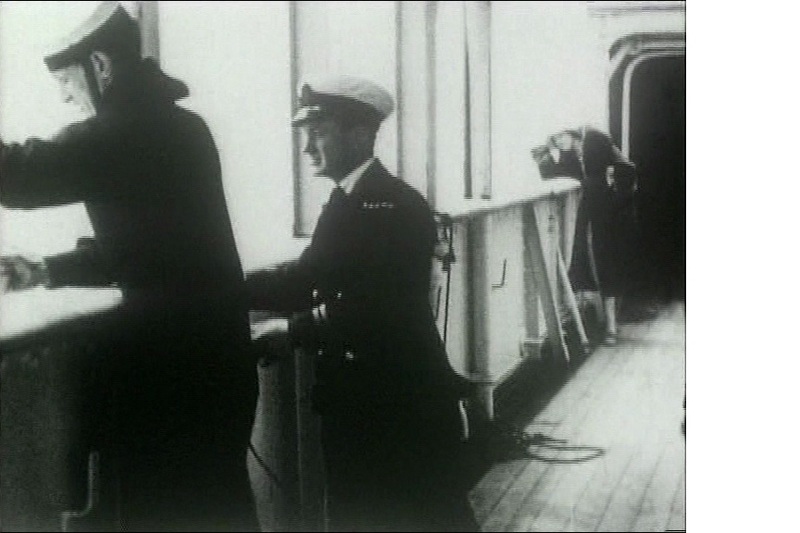 Which scene was filmed on which ship, is not always clear, but there are views of the kitchen and serving hatches on board, followed by passengers at breakfast, ‘elevenses’ on deck and then views of the dining room set for lunch. 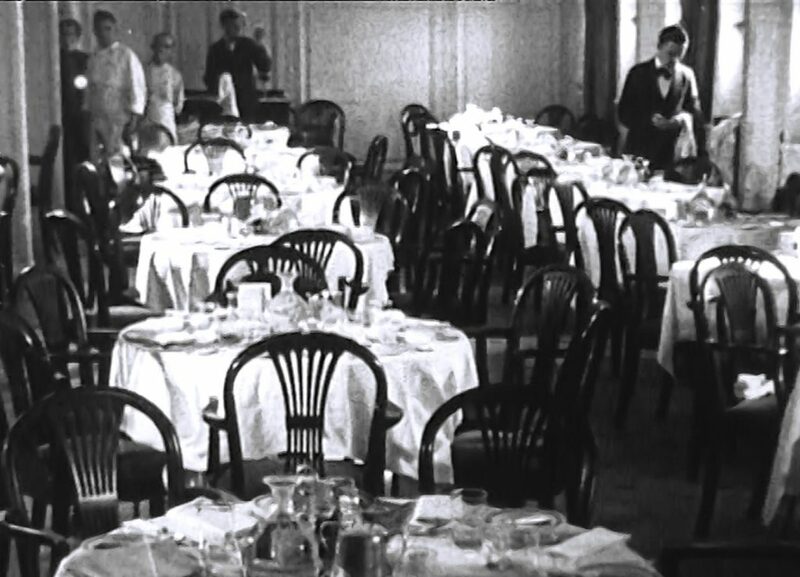 For the evening meal, nicely set out tables with white table cloths, serviettes, and bottles of wine are shown with the menus all dated Saturday 27th October. 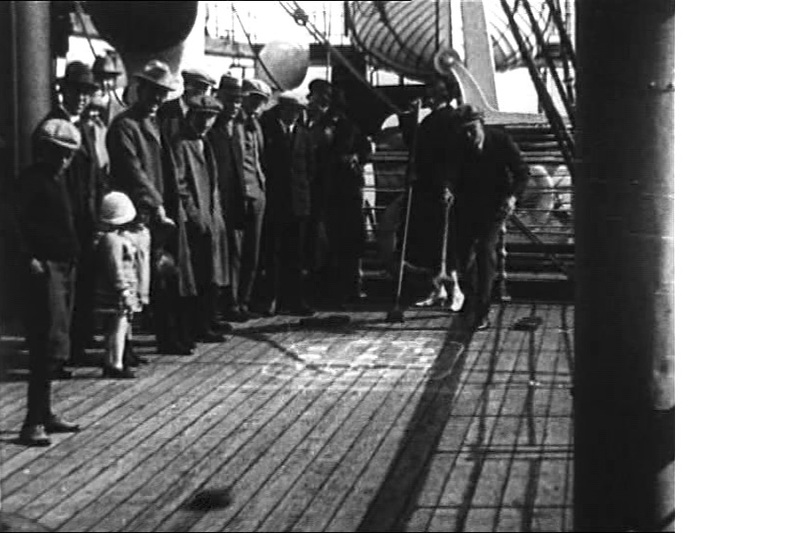 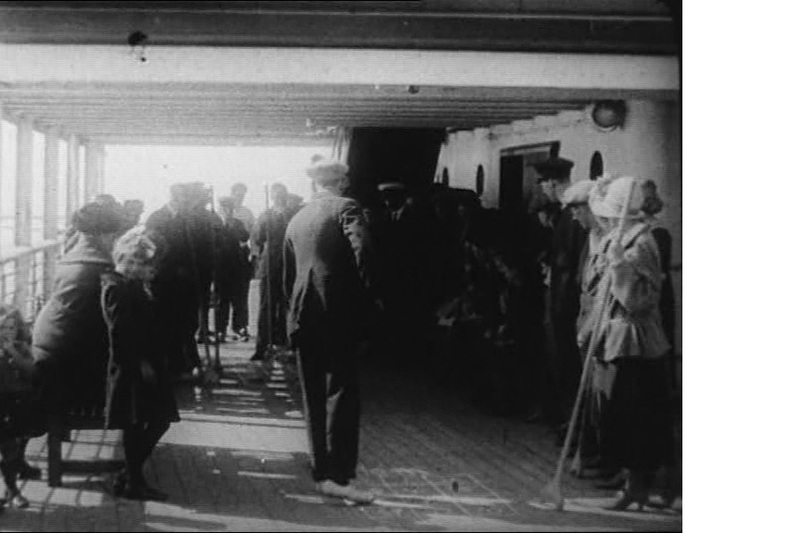 Deck tennis is featured, (throwing of rubber ring quoits, over a net) along with a game of shuffleboard, both of which were popular on board ships at this time in the 1920’s. 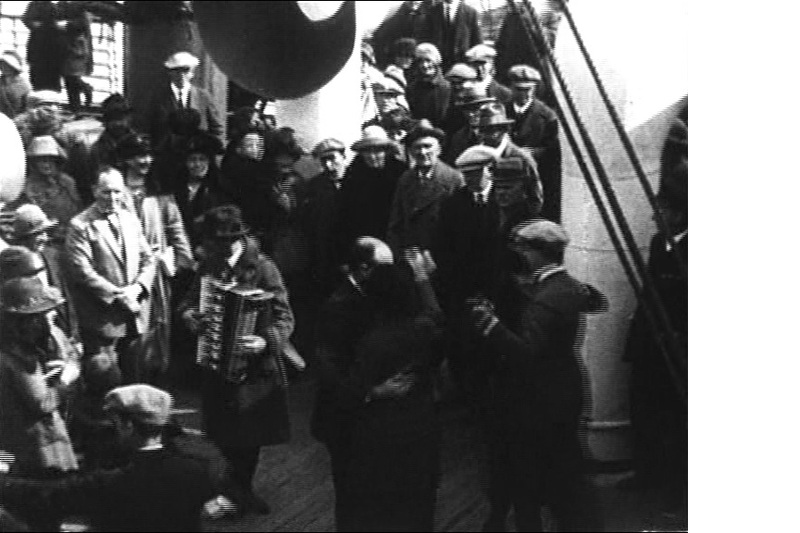 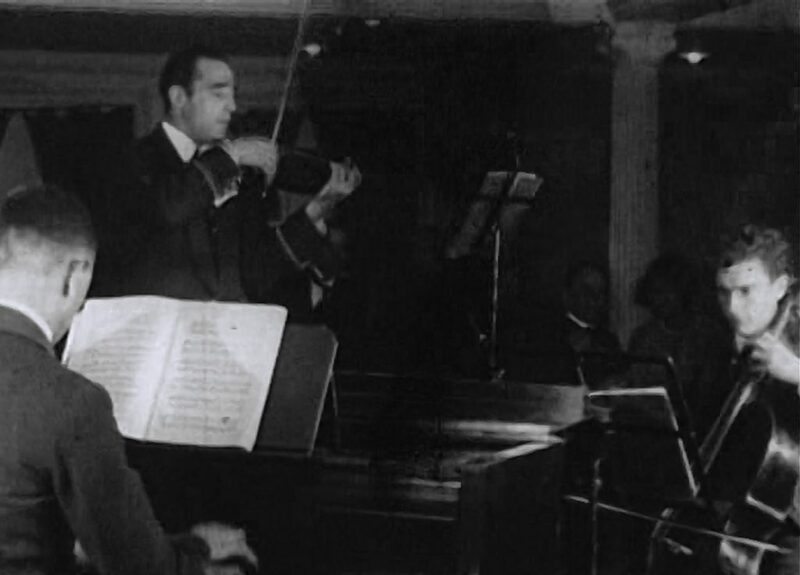 Dancing is shown, both inside with an orchestra and outside on deck, with an accordionist providing the music. 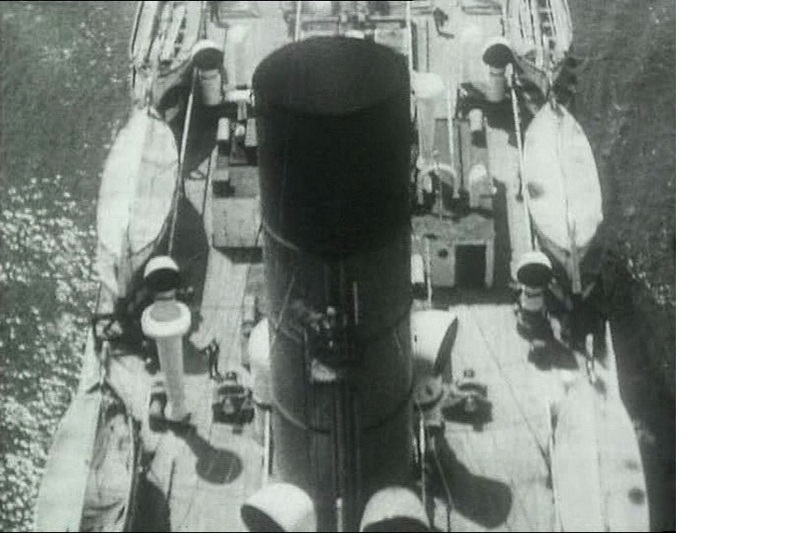 All of these scenes captured on film, give an insight into how these ships appeared when new. 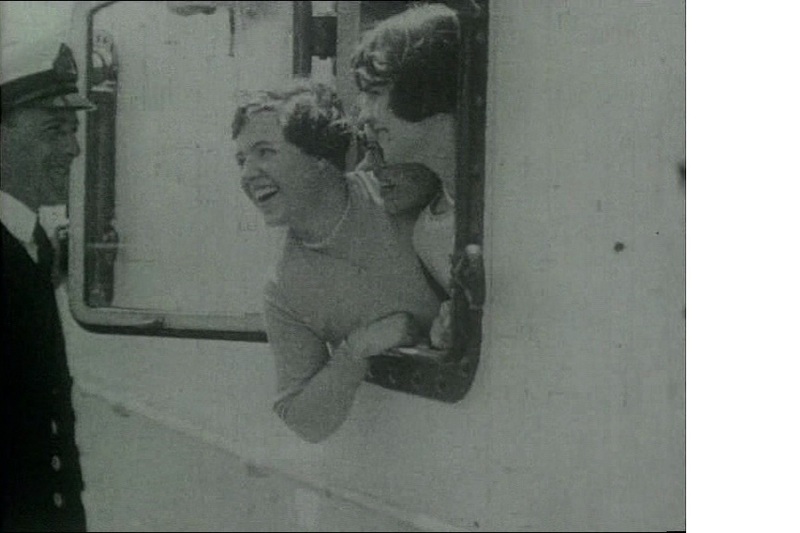 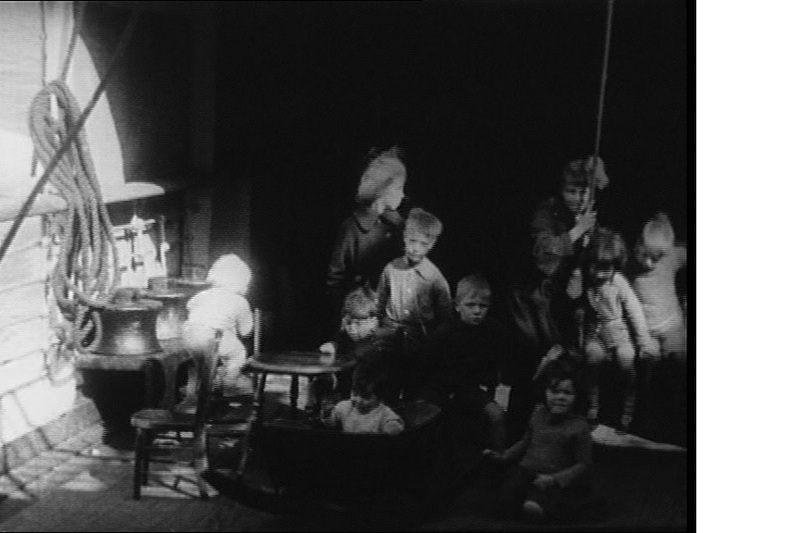 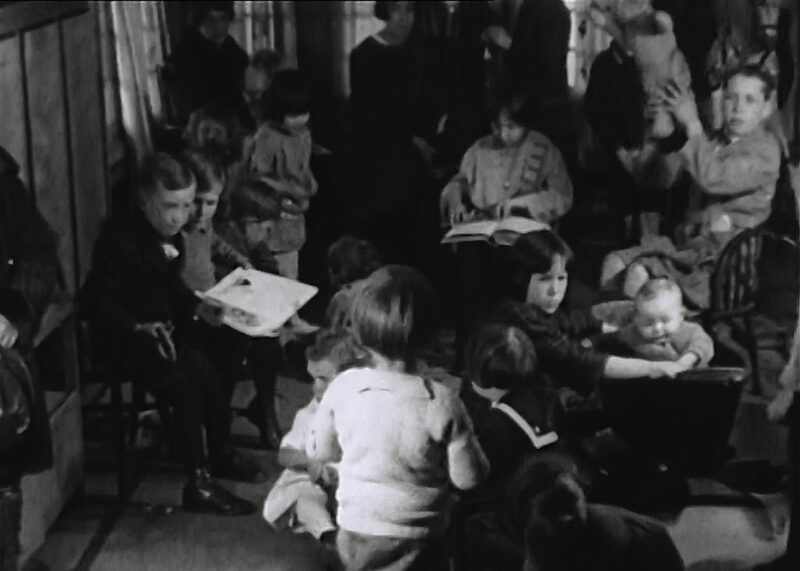 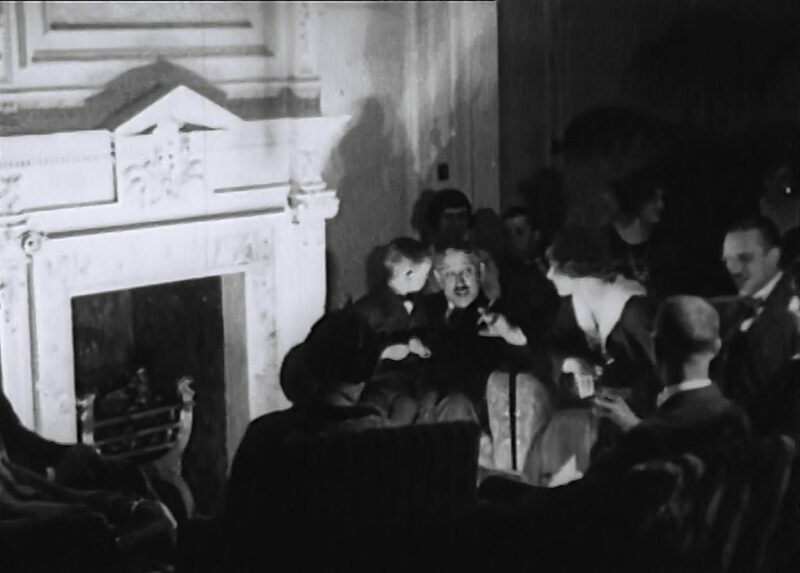 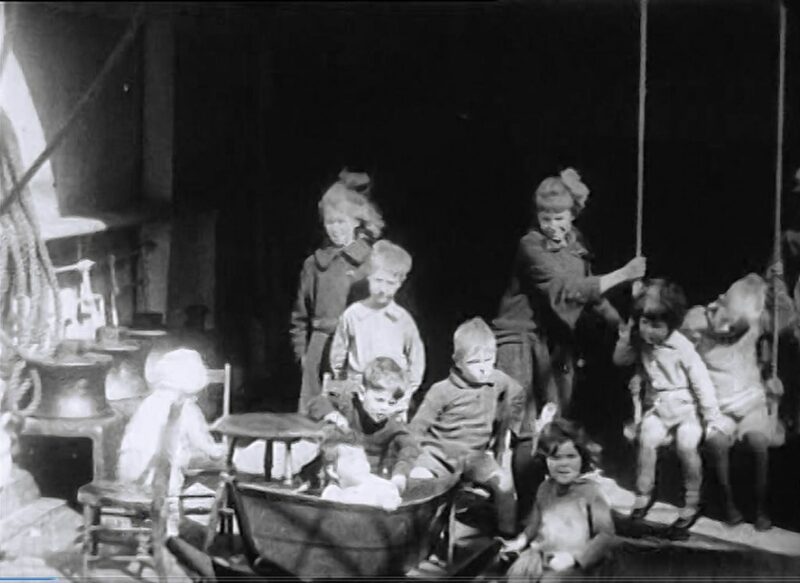 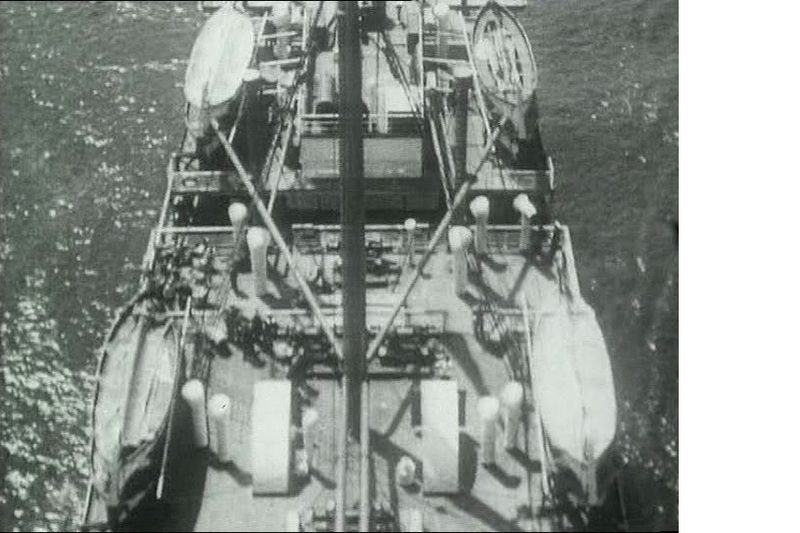 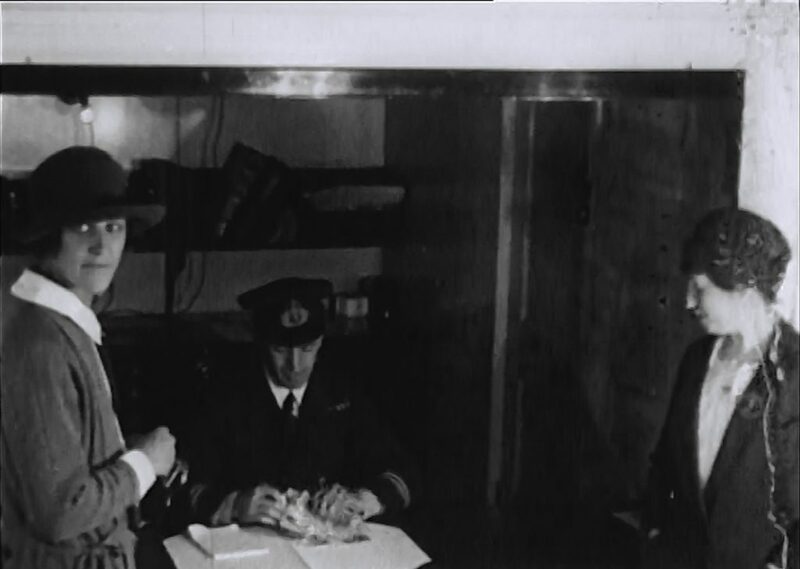 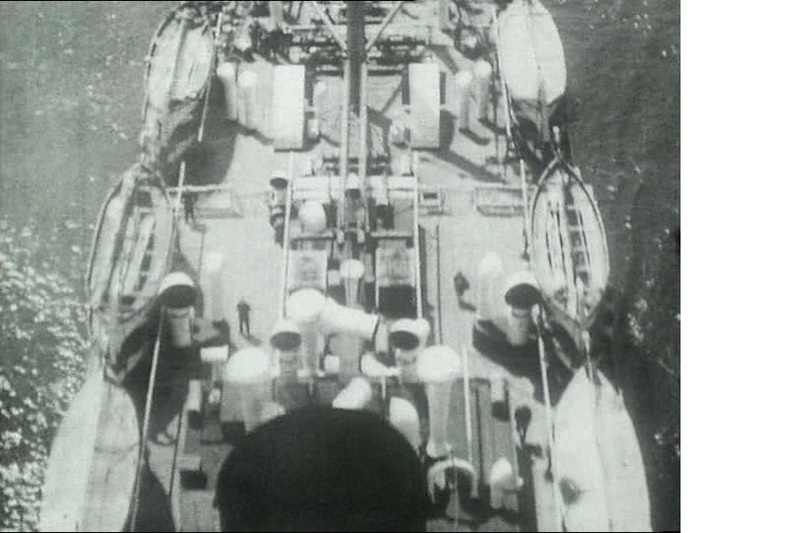 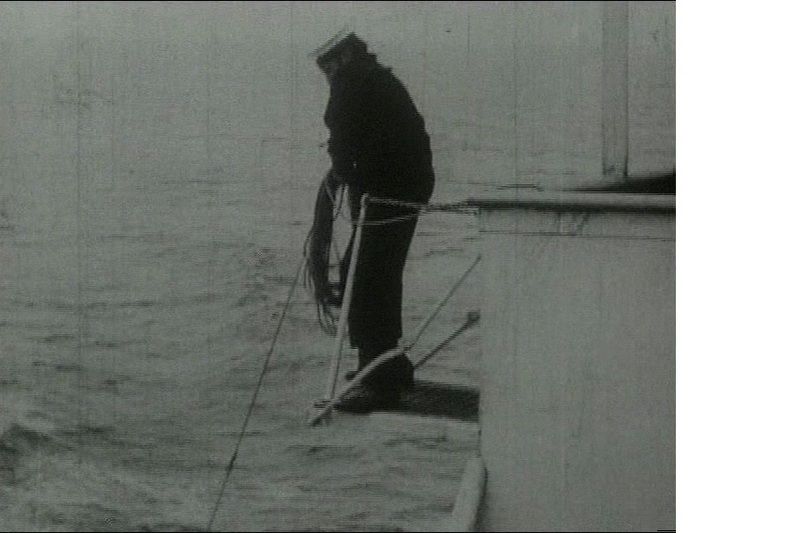 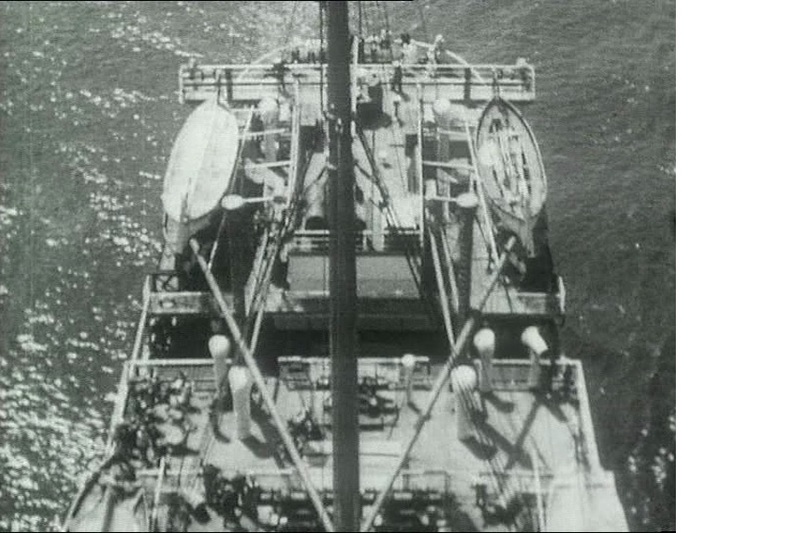 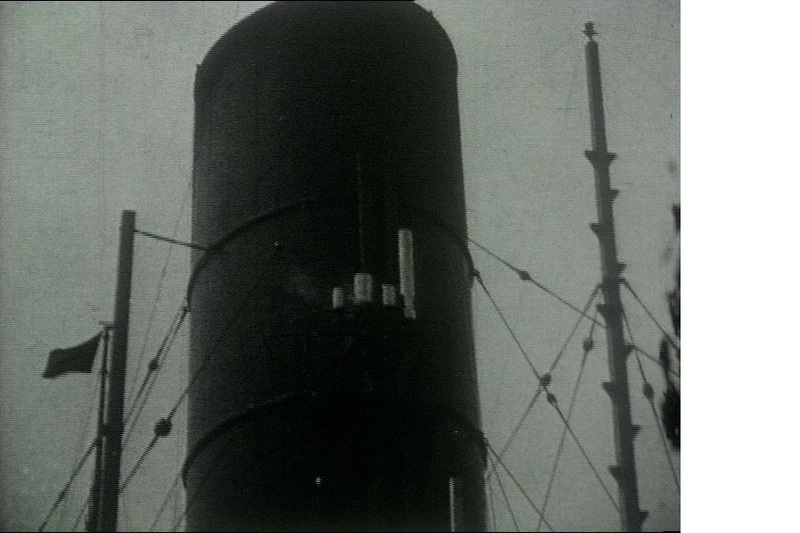 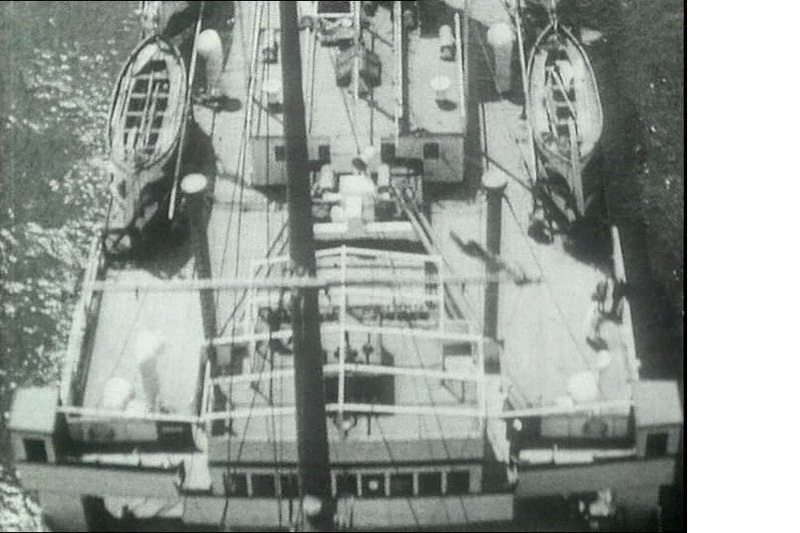 The following photographs are stills, taken from the film.